Indium Corporation was presented with the Global Technology Award for Best Products – Americas for InFORMS® high-reliability solder preforms, on Nov. 10 at Productronica in Munich, Germany. InFORMS® are revolutionary in their ability to provide uniform bondline thickness. An uneven solder bondline thickness can cause stress at the thinner sections, leading to delamination and premature failure during the operational life of the module. The uniform bondline thickness created by InFORMS® prevents this stress. InFORMS® also ensure high reliability by reducing voiding. In testing, InFORMS® have shown to improve the reliability of the interconnect to at least 3,500 thermal cycles, which drastically exceeds the typical reliability specification of 1,500 passive thermal cycles for -55/+150 °C. Sponsored by Global SMT & Packaging, the Global Technology Awards have acknowledged outstanding innovations in the printed circuit board assembly and packaging industry for the past 10 years. 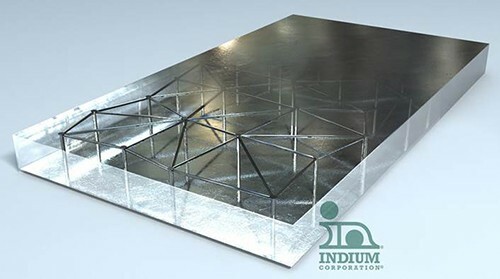 For information about InFORMS®, visit www.indium.com/informs or email askus@indium.com.